Completely re-designed packaging and exciting new key accessories are now available from Hy-Ko Products. 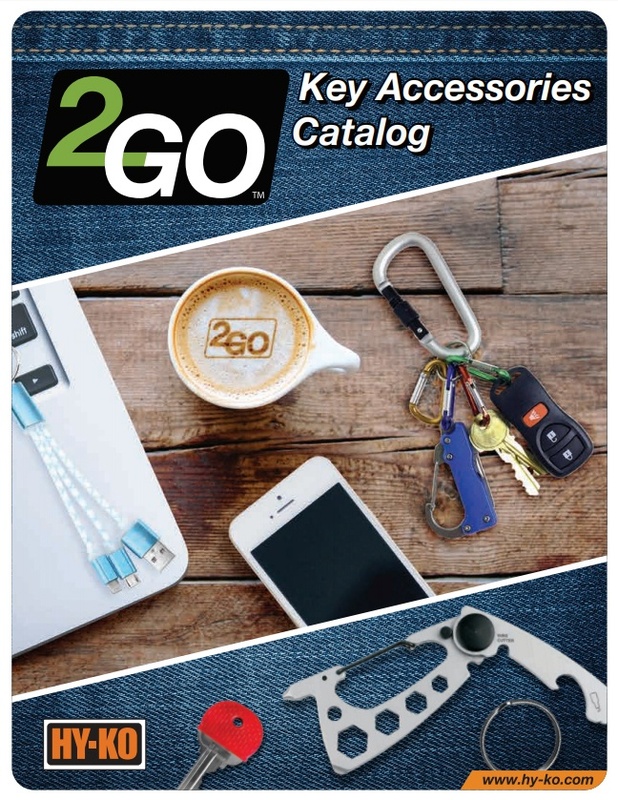 The 2GO™ brand includes products from three categories: Basics, Gadgets and Fun Stuff. Take a look at everything we have to offer in this new catalog. Items are available in bulk pack, buckets, tubs, clip strips and carded packaging. 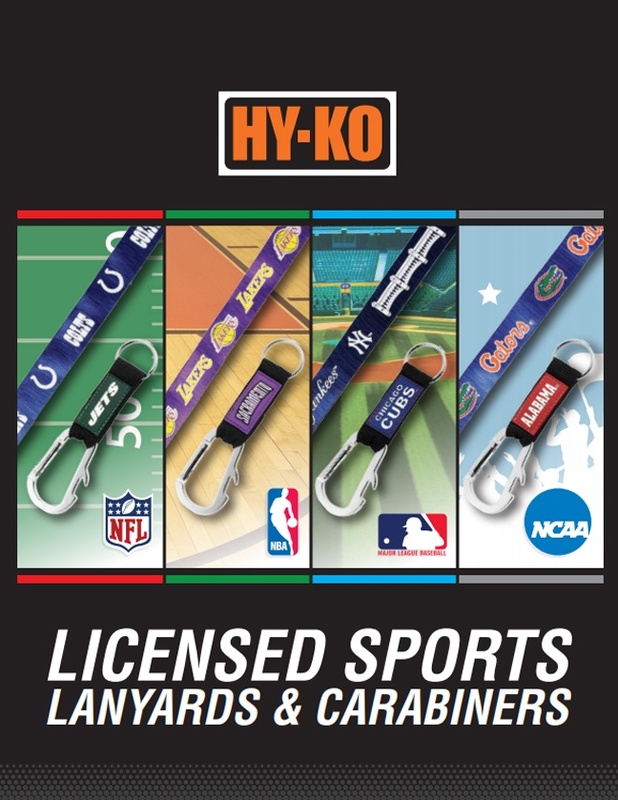 Officially licensed products from the NFL, MLB, NBA and NCAA are available in high quality lanyards and carabiner keychains. Corrugated displays are available and are a great way to highlight the most popular teams in your area. Check the catalog for your teams! Choose from a variety of assortment styles to complement your store needs. 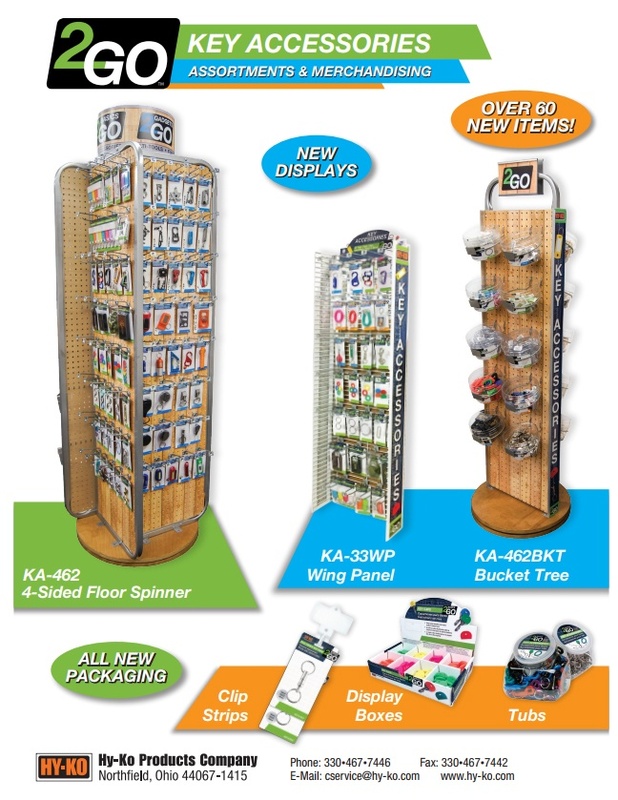 Attention-grabbing floor displays are a great way to add excitement to the key or impulse departments.